FORUM-ASIA’s South Asia Programme supports the work of FORUM-ASIA’s member organisations at the national level. Additionally, the regional strategies enhance inter-programme synergy, cooperation, and coordination within the Secretariat for effective advocacy, campaigning, and networking. FORUM-ASIA’s Human Rights Defenders (HRDs) Programme seeks to facilitate the creation of an enabling work environment for HRDs, including woman human rights defenders (WHRDs), by reducing both actual and perceived threats stemming from the work and activities of HRDs and WHRDs. The United Nations (UN) Advocacy Programme strives to bring an Asian perspective to global human rights discourses through continued engagement with UN human rights mechanisms. FORUM-ASIA connects Asian human rights defenders and civil society to official and geopolitical discourses at the UN. FORUM-ASIA provides a unique platform for Asian human rights defenders to advocate for their issues with ownership at various international forums. FORUM-ASIA’s East Asia and ASEAN Programme supports the work of FORUM-ASIA’S member organisations at the national level. Moreover, it aims to enhance the independence and effectiveness of the ASEAN human rights mechanisms by strengthening the participation of civil society. It does so through various activities such as: workshops; trainings; national and regional consultations between civil society organisations and representatives of the AICHR and ASEAN Commission on the Promotion and Protection of the Right of Women and Children (ACWC); and other forms of information sharing. FORUM-ASIA’s advocacy work on National Human Rights Institutions (NHRIs) is conducted by the NHRIs Advocacy Programme. 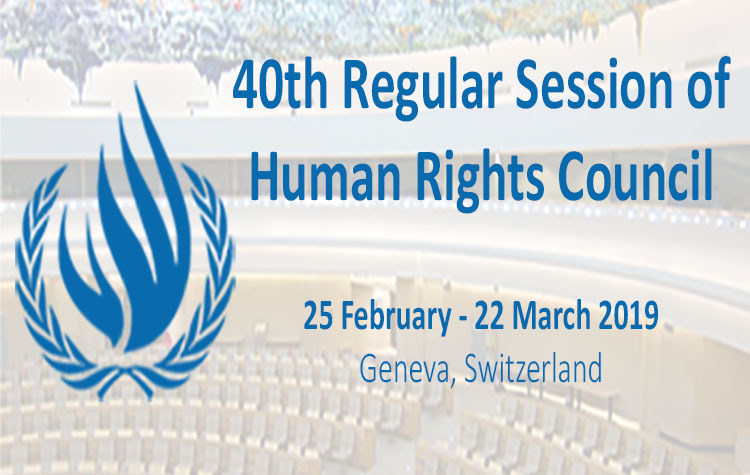 The programme’s main objective is to ensure that NHRIs are able to function in an enabling environment that is conducive for the actualisation of their mandate, and to advocate for the establishment of NHRIs in countries where such institutions do not exist yet that are in full compliance with the Paris Principles. The programme mainly operates through the ANNI, a network of Asian non-governmental organisations and human rights defenders working on issues relating to NHRIs. The New Initiatives and Partnership Development Programme was established in October 2017 to support the development of new projects and initiatives in different areas of work that were identified by FORUM-ASIA’s General Assembly in 2016. The Programme aims to develop strategies and engage on issues, such as business and human rights, civic space, development, and youth, in partnership with stakeholders including youth groups, universities, and other civil society organisations across the world. The Planning, Monitoring and Evaluation (PME) Programme plays an important and key role in supporting the other programmes and the organisation at large, to develop and further strengthen its internal planning, monitoring and evaluation systems, as well as to lead donor reporting and documentation processes. The overall objective of the Administration Department is to enhance the efficiency and effectiveness of the administrative management services of FORUM-ASIA. The department aims to improve office maintenance, administrative support and services for members as well as management and programme staff. It does so by providing: administrative support and services; staff members support and human resources; office maintenance; and IT support. The Finance Programme oversees the financial resources of FORUM-ASIA and is in charge of the planning, organising, auditing and accounting of FORUM-ASIA’s finances.